Traveling can be joyous and a bore the same time, especially when it comes to navigating airport security and scrutiny. It is even harder when you are traveling for the first time or with a baby. Well, here are a few tips on how to navigate airport security without a headache. There is nothing as boring as standing in long lines, on the clock to departure. So, get there as early as you can to avoid any last minute delays. Also avoid lines that are moving slow or have loads of family with children. Choose lines with business travelers even if it is far from your gate. 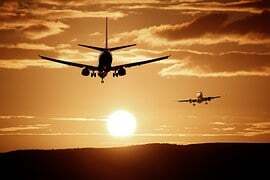 You will save loads of time and still make your flight. You can use different mobile apps to navigate airport security, delays and wait times. It will help you know which lines are moving faster and which ones are not. You can try the all purpose airport app GateGuru. Always keep your travel documents like photo ID, boarding passes and passports in hand during the security check. It will save you a lot of time and make the whole process seamless. As you wont go bag to bag trying to find them. Before you leave the house know which items will require a separate scan. You can also leave your carry-on bag open for easier security check. Although you will remove your shoes opt for slip-on shoes as opposed to those with buckles, laces and zippers. Also make sure you dress light as belts, jackets, coats, sweatshirts,watches and chunky jewelry will have a different scan. Mobile phones, coins, liquids and laptops will also have a separate scan. But you can opt not wear some of them, just to save time. Traveling with children can be hectic, but not if you help them pack and dress. If you are traveling with a baby and a stroller be ready to separate them from it during security check. You should also inform the security agents of any special medical device that might slow down your security check-up. Anything in the line of metallic prosthesis, metal implants or a pacemaker will require special security screening. There you have it simple tricks on how to navigate airport security without a headache. Writer, lover of Art and Music, likes to enjoy the exceptional in life.